Manufactured by Blazing Needles, long known throughout the futon industry for producing excellent quality products. 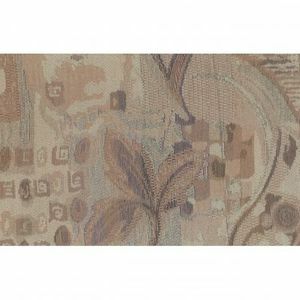 The Fabric is heavyweight Jacquard Chenille 55% Polyester and 45% cotton. Patterns are produced from different color threads like a tapestry, NOT A PRINT. Jacquard Chenille means the fabric has a combination of flat and piled threads that create a sculptured fabric effect.� Jacquard Chenille fabric is known to be heavier and more aesthetically interesting than most other fabrics. Chenille will look different in one direction compared to another, as the fibers catch the light differently. Double stitching throughout and heavy duty zippers ensure durability and ease of use. If you compare specifications carefully you will see we offer the best value futon covers and pillows available online. � Heavyweight Jacquard Chenille fabric. � Woven pattern, NOT A PRINT. � Superior quality and workmanship. � Care instructions sewn inside the cover. � Mix & Match Throw Pillows & Bolsters. � Call or Email for custom size quotes. Our Blazing Needles Covers and Pillows are made to order and drop shipped to you directly from the manufacturer, usually within one week. Time in transit can vary from 1-5 business days depending on destination. Please place the item(s) into your cart, then enter your state and zip code and click on the "apply" button. The shipping cost will be added to your total. Blazing Needles Covers guarantees all products on workmanship and materials for 30 days. We cannot be responsible for normal fabric wear, sun damage or damage caused by misuse. Money back on returns notified within 7 days of delivery receipt. Buyer pays all shipping costs. Item(s) must be in unused condition and returned in original packaging. Return authorization required. Subject to 20% restocking fee. Custom products cannot be returned unless flawed or otherwise incorrectly made. Copyright © 2013 Shop 4 Futons! All Rights Reserved.